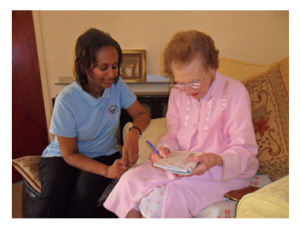 Our aim at Vincentian Care Plus as a domiciliary care agency is to offer a practical, personal care and support services, to enable older people to remain as independent as possible in their own homes. We aim to assist our Service Users in being as independent as possible, and the service we provide is an enabling one rather than a ‘doing’ one. We encourage and assist as much as possible whilst trying to ensure that we don’t ‘take over’ the task that Service Users can do for themselves. When full assistance is needed we work hard to ensure that this is given sensitively. As a small and developing ‘not for profit’ Home Care provider, Vincentian Care Plus provides its services either privately or through Social Services.